The last time I saw Ted Darling was in 1996, shortly before he died, as he walked around the old Tops Market in Lockport muttering incoherently, looking through the foodstuffs and walking past me without any sign that he knew me, even though he did from my many years on television. We knew each other, but by that time Ted was in the final stages of Pike’s disease, an Alzheimer’s-like degenerative illness that in the final years of his life had robbed him of his senses. He died in December of that year at the age of 61. Ted Darling had been the Voice of the Buffalo Sabres for 22 years, and like Van Miller, the Voice of the Buffalo Bills for 37 years who died last Friday at 87, he was a local icon whose voice was instantly recognizable. Now Van has joined Ted in that afterlife that awaits us all, but not before leaving us with wonderful memories of days gone by. In that we can all share. While the last time I saw Ted was in my hometown of Lockport, there is also a Lockport connection I had with Van Miller, long before I became a television reporter in Buffalo at Ch.’s 2 and 7, opposite Van’s local television sports perch at Ch. 4. In 1966, I was the very young sports editor of the Lockport Union-Sun & Journal and traveled to old War Memorial Stadium to cover the Bills. It was there that I met Van in the press box as he was beginning his career as the Voice of the Bills. Our paths didn’t cross much after I moved to news a short time later, but occasionally we would bump into each other at a local event where television folks gathered, and we would say hello. That was about it. But like many of you out there, I certainly was exposed to Van Miller’s play-by-play calls of the Bills over the years, and his voice and his undeniable enthusiasm for the hometown team were the standard for fans who happened to be near a radio at sometime during a Bills game, pretty much a given for all of us. My old colleague at Ch. 7, Irv Weinstein, interviewed by the Buffalo News after Van’s passing, called him “one of the most gifted broadcasters in Buffalo history, and in my opinion, had few equals anywhere.” Now that quote comes from one of the most gifted broadcasters I ever knew, Irv Weinstein, who had few equals in the anchor chair ever. And he worked for many years alongside another great sports voice, my old friend Rick Azar. For those of us still here, the passing of the likes of Ted Darling, Van Miller, and so many others who worked in the broadcast industry during the years I did is a stark reminder of the inevitability of it all. 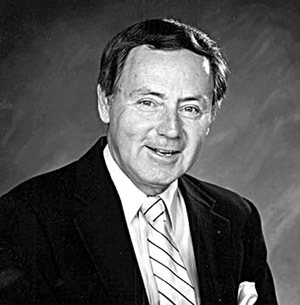 But it is also nice to know that people honor the memory of those who served and entertained them in the broadcast business as the tributes poured in over the weekend for Van Miller as they did in 1996 when Ted Darling passed away. Many of us who worked for many years in local broadcasting and television know that people followed us, counted on us, and still remember us after all these year. I’ve been off the air since 1998, but I’m still recognized frequently and even this morning, a gentleman came up to me and a coffee shop and said, ‘I know you knew Van. Are you going to write something?’ I assured him I was and this is my tribute to the late Voice of the Buffalo Bills. Van Miller’s calls were his own, and he left his mark on the stage like few before him and will long be remembered for his play-calling magic and his enthusiasm for the hometown team. I hope he is somewhere now sitting alongside Ted Darling and others who have passed from this scene and is enjoying the excitement being generated once again for the Bills and the Sabres as fans look forward to the coming seasons. Thanks for the memories, Van, and we won’t forget you and what you brought to this community with your stirring play-by-play calls.. I can almost still here you now: ‘He’s at the 20, at the 10, touchdown Bills!’ His voice has gone silent but his memory will live on.